The winds are calm, the skies are a deep blue and you find yourself along a winding desert track or a high mountain ridge with views so spectacular you’re finding it difficult to stay focused on the road before you. Regardless if your ride preference is two wheels or four, you find satisfaction in discovering what’s around the next corner or over the next hill. Solo or sharing time with friends, adventure is a mental reset allowing you to escape and forget the stresses of the day. You’re an Adventure Junkie! Here at OBR ADV Gear we employ the same passion for adventure and understand it means different things to different people. 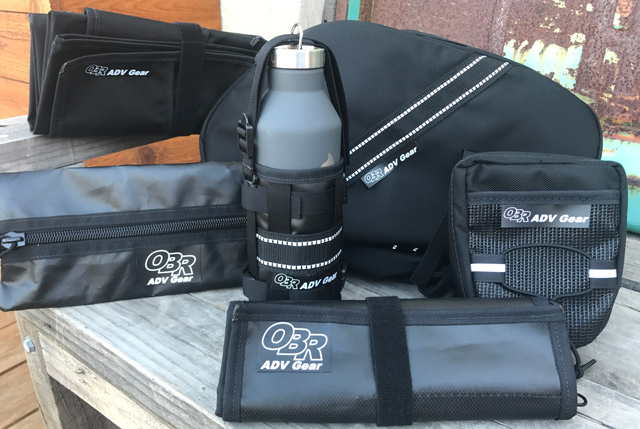 Established in 2014, OBR ADV Gear entered the adventure motorcycle market by offering soft bag storage solutions with a continued emphasis of designing products with unquestionable reliability and value. Fast forward to the Fall of 2018. The OBR team expanded in ownership bringing on a couple of new personalities who will greatly compliment the OBR dynamic. This expansion will better allow us to divide and conquer responsibilities related to product development, timely entry into new markets, sales and marketing and technical wizardry. So, what are you waiting for? Get your adventure on! Two wheels or four, find that bend in the road or that next hill to climb and find out what’s on the other side … after all, we’re all Adventure Junkies!